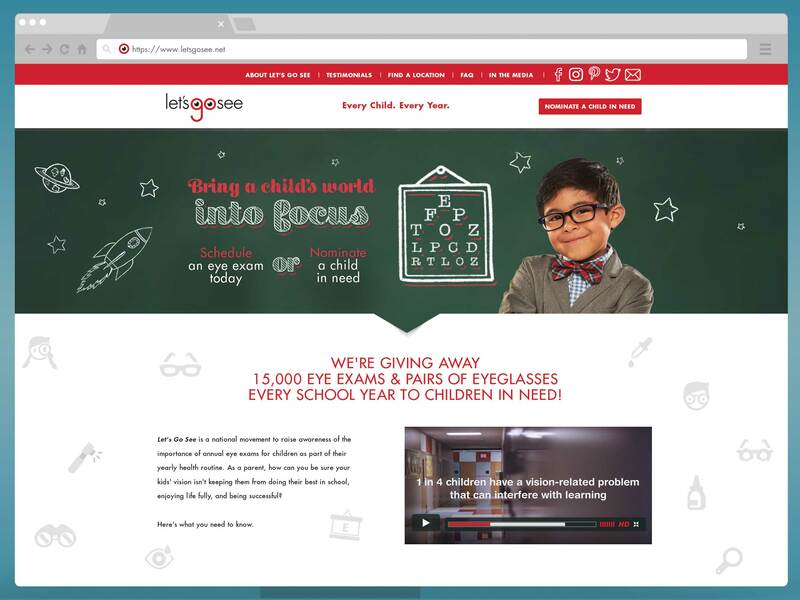 PR Newswire — SAN ANTONIO (January 31, 2017) – Visionworks and Davis Vision kicked off 2017 continuing their work to raise awareness about the importance of annual eye exams for school-aged children by increasing the number of vouchers and glasses they will donate this school year from 10,000 to 15,000. Through their joint initiative, Let’s Go See has already donated more than 8,300 vouchers since the 2016-17 school year started. 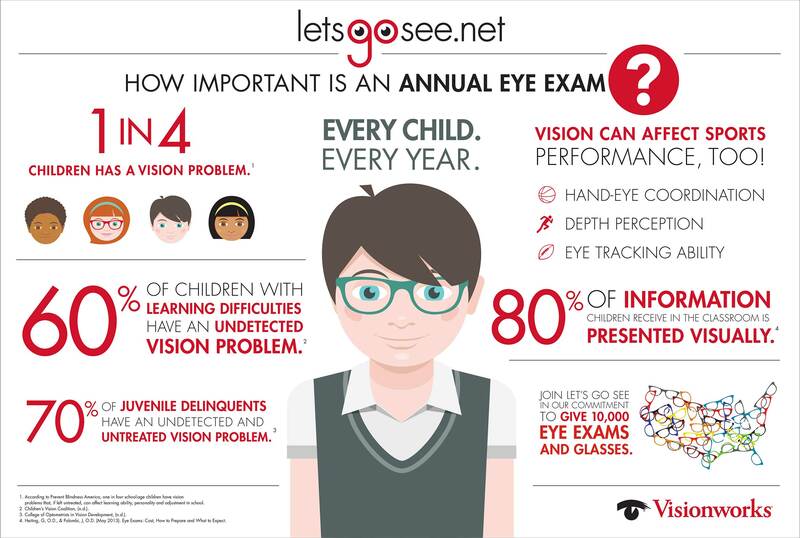 “The Let's Go See program has been instrumental in our efforts to spread awareness of the need for annual eye exams for school-aged children. 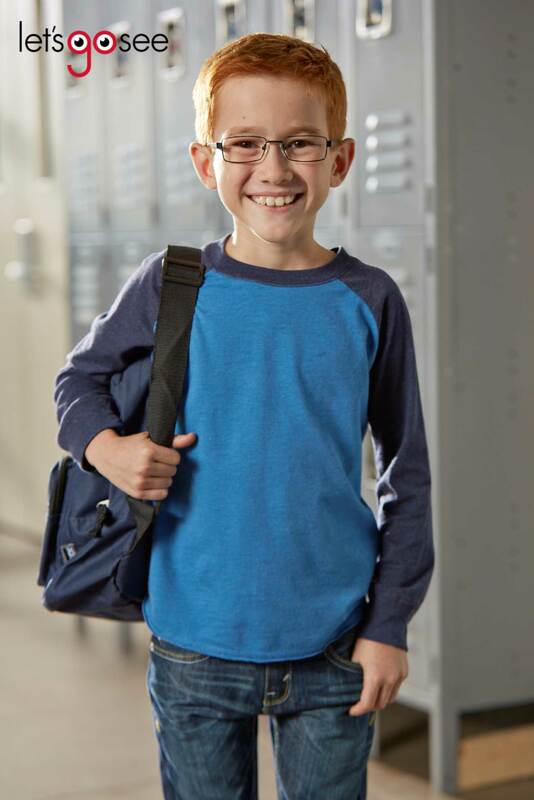 We feel honored to help families provide eye exams and glasses to their kids, and look forward to continuing our mission,” said Jim Eisen, president and CEO of HVHC Inc., and president of Visionworks. Between dental checkups, doctor's exams, and everything else parents do to keep kids healthy, children’s vision often gets overlooked. 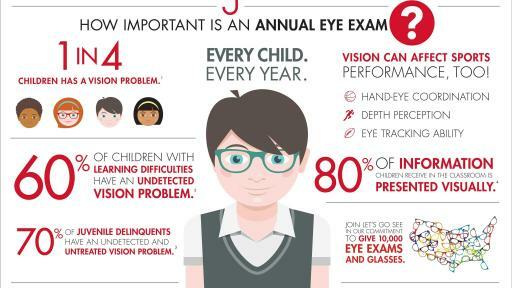 Many parents wait until their child has expressed an issue with their vision before taking them for an eye exam, but according to Prevent Blindness America, 1 in 4 school-aged children in the United States has a vision problem, which if left untreated can affect learning ability, personality, and adjustments in school. In addition to featuring voucher recipients’ testimonials like Rachel’s, the Visionworks Let’s Go See website was recently redesigned to include a variety of enhancements. 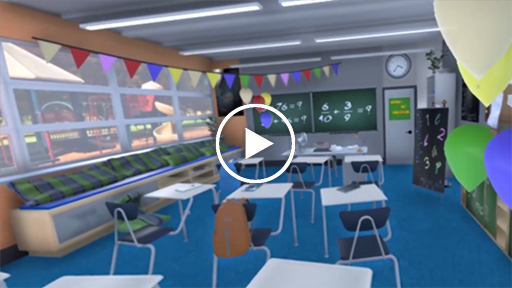 Visitors can expect to see sleek navigation, an updated eye health FAQs and a video from Think About Your Eyes, which showcases the struggles of living with poor vision. In 2017, Visionworks will be promoting Let’s Go See through an upcoming partnership with Viacom, to educate the younger audience. Visionworks also announced teaming up with Little League® Baseball and Softball. 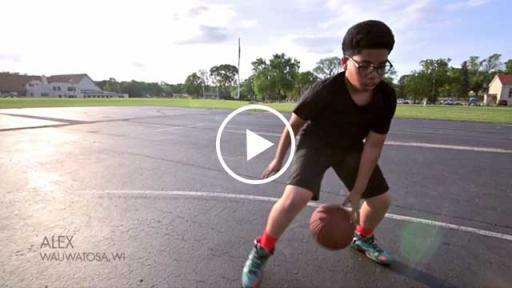 With two million kids playing in the League, the partnership will reach families across the country. Visionworks and Davis Vision are also requesting the public’s help in nominating children and organizations in need. Those interested in nominating can visit letsgosee.net to complete the nomination process. 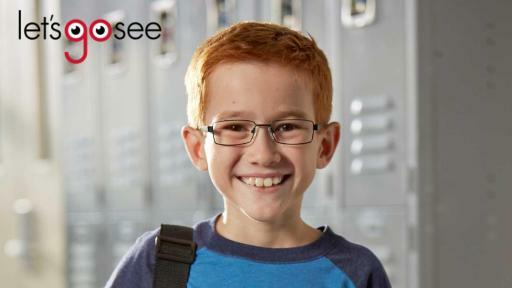 Vouchers are redeemable for a comprehensive eye exam as well as a pair of $69.95 children's frames with polycarbonate lenses. Visionworks is a leading provider of eye care services with more than 700 optical retail stores in 41 states and the District of Columbia. Visionworks is committed to providing our customers with an excellent shopping experience and high quality products and services with the best value and selection in the industry. All of our stores offer famous fashion brands and our own exclusive brand frames, lenses, sunglasses and accessories along with leading technology in vision correction. Our comprehensive service offerings include contact lens dispensing, in-store labs which provide one-hour service on many prescriptions at many locations and doctors of optometry at or next to every store. Visionworks also sells contact lenses online at visionworkscontacts.com. Visionworks is a wholly owned subsidiary of HVHC, Inc. For more information about Visionworks, visit www.visionworks.com. Davis Vision’s unique benefit structure through its state-of-the-art labs, comprehensive provider network, key retail partnerships and exclusive collection of frames is why they are trusted by over 22 million members. Davis Vision members have access to a nationwide provider network of optometrists, ophthalmologists and dispensing locations at more than 55,000 points of access across the U.S. For more information about Davis Vision, visit www.DavisVision.com. 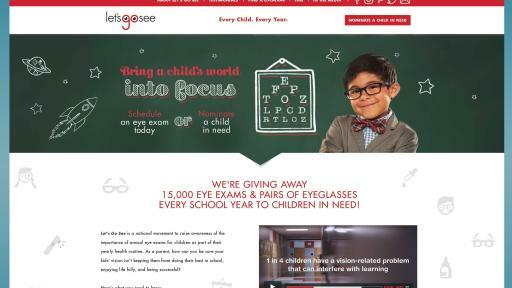 Tweet Join the @_Visionworks #LetsGoSee movement by nominating children for free eye exams & glasses!